College of Arts and Sciences Dean Kendrick Brown (left) and recent graduate Breanna Law '18 appreciate the view from the top of the Administration Building steps. 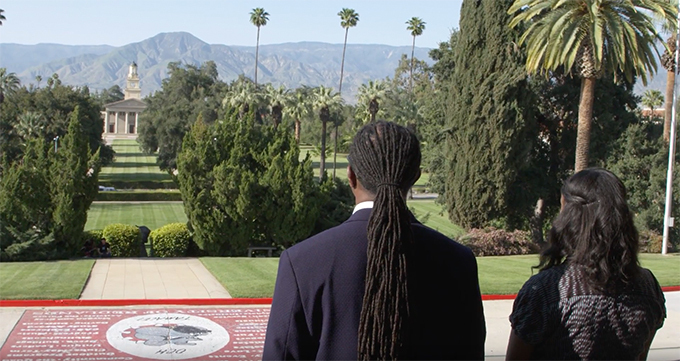 In the more than two years I have been at the University of Redlands as dean of the College of Arts and Sciences, I have come to appreciate so many aspects of the Redlands campus—from the gorgeous 160-acre grounds to the caring, tightknit community. In the videos below, I converse with individual students about some of the specific places on campus that stand out for me and why. 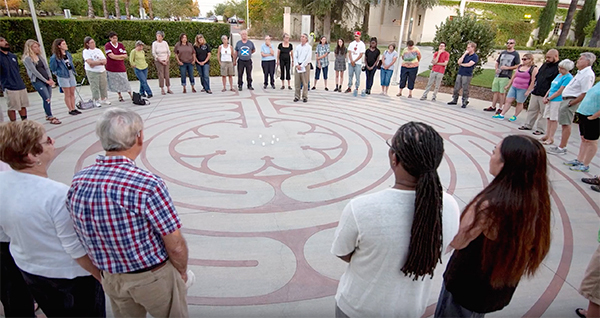 Marcus Garcia ’18 and I are both impressed with the University’s labyrinth, which was created in 2004 thanks to a gift by Darcy Black Kopcho in honor of her parents, Duane and Patricia Hester Black. It’s amazing the University has a dedicated space for people to come to be quiet, gather their thoughts, and really focus on what’s around them. It is also a place that has hosted affirming gatherings of community in response to national events, which is how I first experienced it. Another special place on campus is Bekins Hall, home to U of R’s unique Johnston Center for Integrative Studies, which enables about 200 students to build their own academic program and to live and learn together as part of a self-governing community. When I first arrived on campus, Johnston students, including Maddie Tschauner ’18 who joins me in this video, extended a warm welcome. The Greek Theatre has seen many powerful moments since it opened in 1927, including many convocations and graduations. 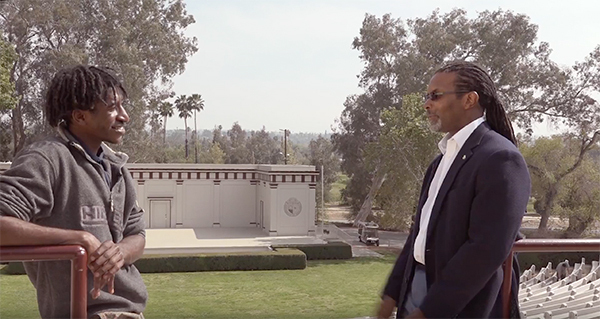 Kamal Bilal ’18, who joins me in this video, celebrated both the beginning and end of his transformational U of R journey in this venue. U of R’s early alumni association spearheaded the concept and fundraising for the theatre. 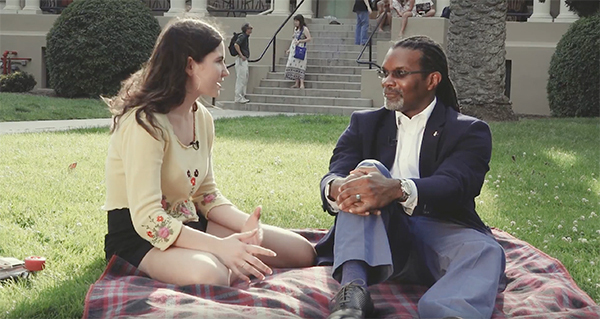 Breeana Law ’18 and I discuss what the Administration Building means to us. 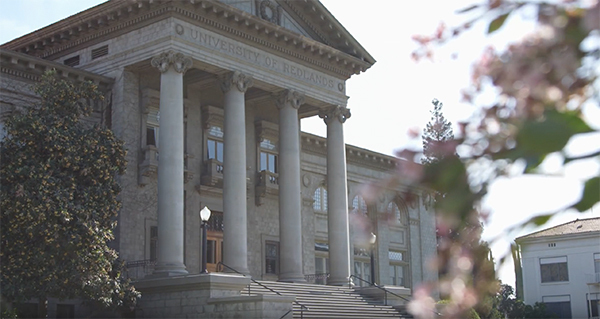 I remember walking out of the stately 109-year-old Beaux Arts-style building, looking out at the spectacular view of the campus and mountains, and feeling inspired to do my part to continue having Redlands be a special place for everyone. To learn more, take a virtual tour or come visit the Redlands campus. We’d love to see you!